Set in the beautiful Worcestershire countryside famed for its fruit orchards and Spring Blossom Trail. These attractive, attached, holiday properties form part of a renovated barn conversion, furnished and decorated in a lovely, contemporary style. Surrounded by open fields with views over the rolling countryside, Malvern Hills and the Black Mountains, with the drumming from the woodpeckers in the nearby woods, this is a get away from it all holiday location. The properties’ location forms one of the villages known as ’The Lenches’ situated near the historic town of Evesham and famed for a series of stunning walks through the several Lench villages. With many local places of interest within easy reach. Free entry to the Lenches Club (families welcome, 1 mile) and free access to tennis courts. Helicopter parking available. Shop 2 mile, pub 3 miles. Both properties: Elec heaters, elec, bed linen and towels inc. Freeview TV. DVD. CD. Elec cooker. M/wave. Washer/dryer. Small courtyard with terrace and furniture. No smoking. Friday to Friday. Ground floor: Living/dining room/kitchen. First floor: 2 double bedrooms, one with en-suite bathroom with shower attachment and toilet, one with double sofa bed and en-suite shower room with toilet. Parking (2 cars). Hot tub. For a better idea of where Whitsun Brook is, you can see Whitsun Brook on the map below. Whitsun Brook is in Worcestershire; should you be on the lookout for a special offer, you can find all the special offers in Worcestershire. It's always worth checking to see what is on offer at the moment. 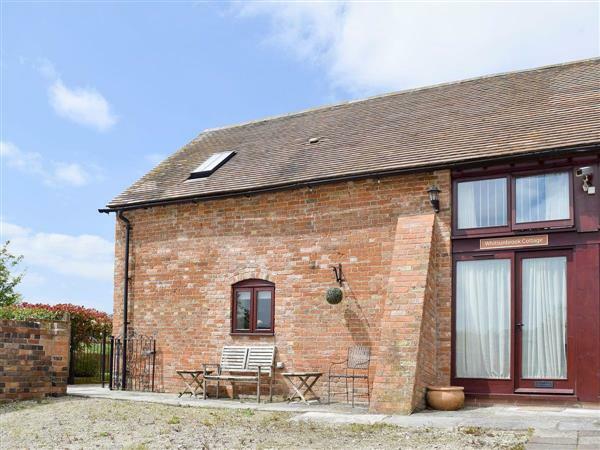 Do you want to holiday near Whitsun Brook (24472), you can see other cottages within 25 miles of Whitsun Brook; have a look to find your perfect holiday location.